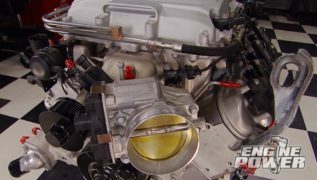 (NARRATOR)>> TODAY ON ENGINE POWER THE TRIPLE THREAT CAMARO'S POWER PLANT GOES HOME FOR GOOD, WHERE IT GETS AN ACCESSORY DRIVE DESIGNED FOR NO NONSENSE HIGH PERFORMANCE AT THE TRACK AND ON THE STREET. PLUS WITH PLENTY OF RACE READY COMPONENTS UNDER OUR CHEVY THERE'S NOT MUCH ROOM LEFT FOR SOMETHING LIKE A THREE INCH DUAL EXHAUST. LUCKY FOR US MAGNAFLOW'S OWN RICHARD WAITUS IS HERE TO HELP. 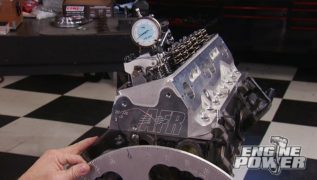 (MIKE)>> TODAY ON ENGINE POWER WE'RE WORKING ON OUR TRIPLE THREAT CAMARO. IT'S A '73 SPLIT BUMPER THAT IS GETTING A FULL TREATMENT OF GO FAST PARTS. 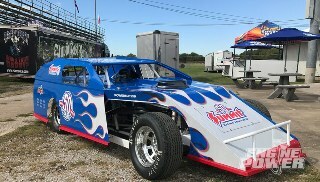 NOW THIS WEEK WE HAVE A GUEST IN THAT IS GOING TO BUILD A CUSTOM EXHAUST FOR THIS CHASSIS. FIRST THINGS FIRST, PAT AND I NEED TO GET THE ENGINE AND TRANSMISSION DROPPED IN FOR GOOD. THEN THAT EXHAUST WORK CAN BEGIN. (PAT)>> USING OUR ENGINE HOIST, WE WILL CAREFULLY LOWER THE ENGINE AND TRANS AS AN ASSEMBLY INTO THE CHASSIS. (MIKE)>> ALL RIGHT, START WALKING HER IN. ALL RIGHT, YOU'RE AGAINST IT NOW. GO AHEAD AND START COMING DOWN REAL EASY. (PAT)>> LOOK AT THAT, OKAY, BEAUTIFUL. ONCE POSITIONED, ARP FASTENERS ARE USED TO SECURE IT. LEVEL 10 TRANSMISSIONS BUILT US THIS TH-400 OUT OF THE BEST PARTS THAT THEY COULD GET THEIR HANDS ON. IT'S STARTS OUT WITH AN AFTERMARKET SUPER HYDRA 400 TRANSMISSION CASE FROM REID RACING. INSIDE IS A REVERSE PATTERN MANUAL VALVE BODY, ROLLER TAIL BEARING, LARGE PLANETARY GEAR CARRIER, AND AN IMPROVED BILLET STEEL PRESSURE PLATE. THE BELL HOUSING IS REMOVABLE SO THE TRANS CAN BE USED WITH SEVERAL DIFFERENT POPULAR ENGINE COMBINATION, AND INSIDE AN SFI FLEX PLATE AND BILLET CONVERTER TO WRAP IT ALL UP. LEVEL 10 HAS BEEN IN BUSINESS FOR 46 YEARS AND THEY BUILD BOTH DOMESTIC AND IMPORT UNITS. 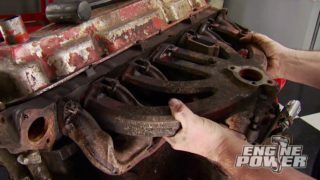 (MIKE)>> THERE IS A MISSING LINK IN THE DRIVELINE RIGHT NOW AND IT'S JUST AS IMPORTANT AS THE ENGINE AND TRANSMISSION. WITHOUT IT THE CAMARO JUST WON'T MOVE. IT HAS TO BE STRAIGHT, BALANCED, AND IT HAS TO HANDLE AN EXCEPTIONAL LOAD OF TORSIONAL STRESS. IT IS THE DRIVESHAFT, AND ORDERING ONE TAKES SPECIFIC STEPS THAT HAVE TO BE FOLLOWED. YOU DON'T WANT TO ORDER A SHAFT AND JUST HOPE IT FITS. HAVING ONE LENGTHENED OR SHORTENED CAN BE A PRICEY ORDEAL. (PAT)>> NOW EACH COMPANY HAS THEIR OWN SPECIFIC WAY FOR MEASURING FOR A DRIVESHAFT. SO BE SURE TO USE THE ORDER SHEET FROM THAT COMPANY. WE'RE GONNA BE ORDERING UP A CARBON FIBER 13-50 DRIVESHAFT FROM QA ONE. WE WENT ON THEIR WEBSITE AND PRINTED OUT THEIR INSTRUCTION SHEET, AND WE'LL BE FOLLOWING IT TO A "T" TO ENSURE THAT WE HAVE A DRIVESHAFT THAT FITS RIGHT THE FIRST TIME. (MIKE)>> BEFORE WE MAKE ANY MEASUREMENTS WE'LL FILL OUT SOME BASIC INFO ON OUR VEHICLE, SUCH AS THE ENGINE AND TRANSMISSION SPECS, TIRE SIZE, AND GEAR RATIO. 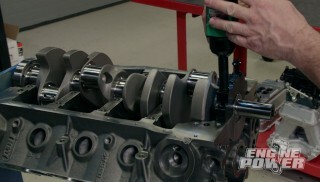 THE FIRST MEASUREMENT REQUIRES A SLIP YOKE TO BE PLACED IN THE BACK OF THE TRANSMISSION. THIS IS JUST A MOCK UP PIECE FOR US, AND WE WANT IT SPACED OUT ABOUT AN INCH FROM THE TAIL HOUSING. THAT WAY IT HAS THE TRAVEL IT NEEDS WHEN THE SHAFT IS INSTALLED FOR GOOD. ALL RIGHT PAT, THIS MEASUREMENT IS BASICALLY GONNA BE CENTER OF UJOINT CUPS TO CENTER OF UJOINT CUPS ON THE BACK. FIND A FACE? (MIKE)>> ALL RIGHT, SO WE'VE GOT 48 AND 11/16THS. ALL RIGHT, NOW WE'VE GOT TO MEASURE FROM THE BACK OF THE TAIL HOUSING TO THE SAME FACE ON THE YOKE. 51 AND FIVEEIGHTHS ON THE MONEY. THE FINAL MEASUREMENT IS FROM THE END OF THE OUTPUT SHAFT TO THE END OF THE TRANSMISSION TAIL HOUSING. NOW WE HAVE ALL THE MEASUREMENTS WE NEED TO ORDER OUR DRIVESHAFT. IF YOU NEED ANY HELP WITH THE ACTUAL MEASUREMENTS JUST LOOK AT THE VISUALS AND THEY'LL SHOW YOU WHERE TO MEASURE FROM. ALL WE NEED TO DO NOW IS FAX THIS OVER TO QA ONE AND WE'LL HAVE OUR SHAFT IN A COUPLE OF WEEKS. THE DRIVESHAFT WE'RE ORDERING FROM QA ONE IS A CARBON FIBER SHAFT. NOW QA ONE CNC MACHINES THEIR BILLET YOKE SPECIFICALLY FOR THE 11 STEP BONDING PROCESS TO ADHERE THEM TO THE DRIVESHAFT ITSELF. THEY MAKE A COUPLE OF DIFFERENT LEVELS OF THE SHAFTS AS WELL. SO LET'S CHECK THEM OUT. WHAT WE WOULD CALL AN ENTRY LEVEL SHAFT, BUT IT'S STILL A CUSTOM SHAFT FROM QA ONE, IS THEIR TWO AND A QUARTER REV SERIES. NOW THIS COMES WITH 13-10 SERIES UJOINTS AND IS AVAILABLE FOR VEHICLES WITH A MAX RATED POWER OF 750 HORSEPOWER AND 500 POUND FEET OF TORQUE. THEY RETAIL FOR RIGHT AT $820 DOLLARS. THE SHAFT WE'RE ORDERING IS THEIR CUSTOM THREE POINT TWO INCH REV SERIES. NOW THESE COME WITH 13-50 SERIES UJOINTS AND ARE CAPABLE TO HANDLE 2,000 HORSEPOWER AND 1,500 POUND FEET OF TORQUE. YOU CAN ORDER THEM UP TO 65 INCHES LONG, AND THEY START OUT AT $1,295 DOLLARS. NOW THAT THE SHAFT IS ORDERED PAT AND I ARE GOING TO GET THE CHASSIS BACK UNDERNEATH THE BODY FOR THE NEXT PHASE OF THIS PROJECT. WE'LL BE RIGHT BACK. (NARRATOR)>> UP NEXT, OUR VINTAGE CAMARO RECEIVES A DUAL EXHAUST WITH LOTS OF LATE MODEL APPEAL. (MIKE)>> WELCOME BACK. WE JUST WRAPPED UP GETTING THE ENGINE AND TRANS PLACED IN THE AWESOME STREET ROD GARAGE CHASSIS. WITH THE BODY BACK IN PLACE IT'S TIME TO TACKLE ANOTHER BIG JOB WHEN PUTTING A CAR TOGETHER, THE EXHAUST. FOR THAT RICHARD WAITUS FROM MAGNAFLOW IS HERE TO WORK HIS TALENTED HANDS ON A THREE INCH SYSTEM FOR THIS TRIPLE THREAT CAR USING MAGNAFLOW'S CUSTOM BUILDER KIT. RICHARD WE SEE YOU FLOATING AROUND QUITE A BIT ALL AROUND THE COUNTRY PUTTING EXHAUST SYSTEMS ON TOP NOTCH CARS. SEMA VEHICLES, LIKE THAT. WHAT DOES THAT DO FOR YOU? (RICHARD)>> WELL I GOT INTO THIS BUSINESS CAUSE I WAS AN ENTHUSIAST FIRST. SO I'M REALLY FOLLOWING MY PASSION, BUT DON'T TELL MY BOSS I'D PROBABLY DO THIS FOR FREE ANYWAYS. AT THE END OF THE DAY THERE'S A LOT OF VALUE IN SEEING WHAT PRETTY MUCH THE LEADERS OF OUR INDUSTRY ARE DOING ON THE FOREFRONT AS THEY'RE BUILDING IT, AND THEN ADJUSTING ALL THAT MARKETING DATA AS WELL TO REALLY UNDERSTAND WHAT PEOPLE ARE DOING, WHERE THEY'RE GOING, AND KIND OF WHERE TECHNOLOGY IS TAKING US. (PAT)>> NOW YOU OFFER SEVERAL BUILDER KITS, AND WHAT SIZES DO THEY COME IN? (RICHARD)>> WE OFFER THE BUILDER KIT IN TWO AND A QUARTER, TWO AND A HALF, AND THREE INCH, ALL IN DUALS. (PAT)>> NOW WE TALKED ABOUT, FOR THIS PARTICULAR CAR BECAUSE WE TOLD YOU ABOUT THE POWER LEVEL AND WHAT IT'S GONNA WHEN WE CHOSE THREE INCH. COULD YOU TELL ME WHY? 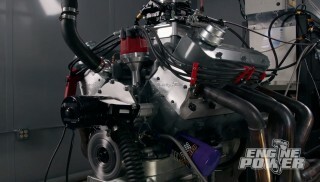 (RICHARD)>> WELL OPTIMALLY AT THREE INCH, USUALLY WITH YOU GUYS WE'RE TALKING ABOUT PEAK POWER, ENGINE DYNO. WE WANT TO MAXIMIZE THE POWER, BUT HERE WE'RE PUTTING IT IN AN APPLICATION THAT'S GOT TO BE ROAD RACE, DRAG RACE, AND STREET LEGAL. WE'RE RUNNING PUMP GAS AND EVERYTHING. SO WE WANTED A SITUATION WHERE WE HAD A COMFORTABLE SOUNDING EXHAUST THAT SOUNDED GOOD BUT WASN'T A MAJOR IMPEDANCE UPON THE PERFORMANCE OF THE VEHICLE. SO THREE INCH, I THINK, WAS A GOOD COMPROMISE FROM A SOUND QUALITY TO HORSEPOWER. (MIKE)>> HOW ARE YOU GONNA DESIGN THIS SYSTEM? (RICHARD)>> THIS IS A PRETTY TRADITIONAL SETUP IN THE SENSE YOU GUYS HAVE GOT A LONG TUBE HEADER. SO IT GIVES ME A GOOD STARTING POINT. THREE INCH COLLECTORS, WORK MY WAY BACK THROUGH THE FRAME RAILS IN THERE, GET TO AN "X", WORK MY WAY TO THE REAR SECTION. AND THIS CAR THERE'S NOT A LOT OF ROOM FOR THE MUFFLERS WITH THAT CHASSIS. SO WE'RE GONNA GO OVER THE AXLE FIRST AND PLACE THE MUFFLERS IN THE REAR, WHICH IS ACTUALLY MORE LIKE THE MODERN LS AND MUSTANG TYPE VEHICLES WHERE WE HAVE THAT MUFFLER AT THE REAR WARD POSITION, AND THEN WE'LL DO A TURN DOWN THERE. WE SHOULD HAVE NO PROBLEM GETTING THE THREE INCH THROUGH. WE'LL JUST HAVE TO DETERMINE WHETHER OR NOT THE GROUND LIKES TO TOUCH IT. (PAT)>> NOW WE'RE HAPPY YOU'RE HERE, AND WE APPRECIATE ALL YOU'VE TALKED ABOUT. NOW THE EASY PART FOR YOU, THE HARD PART FOR US, AND THAT'S WHY YOU'RE HERE, GETTING IT DONE. (RICHARD)>> LET'S GO DO IT. (MIKE)>> LIKE RICHARD STATED, THE HEADER COLLECTOR IS HIS STARTING POINT. FROM THERE THE FIRST MAGNAFLOW THREE INCH SECTION IS HELD IN PLACE TO GET AN IDEA OF WHERE HE WILL MAKE HIS FIRST CUT. MOCK UP IS THE MOST IMPORTANT PART OF BUILDING THE EXHAUST SYSTEM. IT ALLOWS YOU TO MAKE SURE THE PIPES HAVE ADEQUATE CLEARANCE OF THE CHASSIS AND OTHER COMPONENTS ON THE VEHICLE. THE "X" CROSSOVER IS BASICALLY THE INTERSECTION OF THE EXHAUST SYSTEM. IT NEEDS TO BE PARALLEL WITH THE CHASSIS BECAUSE A MINOR ALIGNMENT ERROR HERE WILL BE A MAJOR ONE AT THE REAR. VBAND CLAMPS ARE USED AT THE MAJOR CONNECTION POINTS, LIKE THESE THAT WILL CONNECT THE HEADER COLLECTORS TO THE FIRST PIPES. RICHARD WILL BE TIG WELDING THE ENTIRE SETUP. 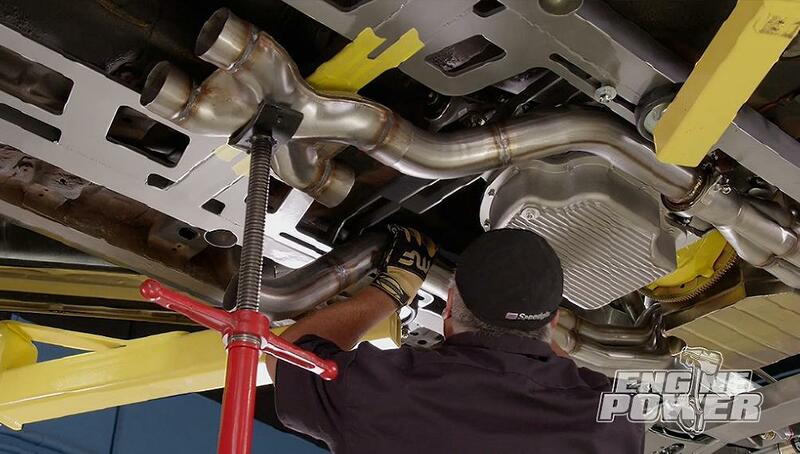 (PAT)>> TUCKING THE EXHAUST AS HIGH AS POSSIBLE IS THE PLAN. DUE TO THE LIMITED SPACE BETWEEN THE CHASSIS AND THE BODY, WE WILL BE GOING ON THE BOTTOM SIDE OF THE CHASSIS. RICHARD IS MAKING SURE THIS CUT WAS THE RIGHT LENGTH. HE WANTS BOTH SIDES TO BE MIRROR IMAGES OF EACH OTHER. HERE IS A SECTION THAT GETS A LITTLE MORE TECHNICAL, MAKING SURE THE BENDS ARE ANGLED AND CUT TO EXACT LENGTH IS THE TRICK TO KEEPING THE "X" CROSSOVER STRAIGHT AND IN LINE WITH THE CHASSIS. HERE'S THE RESULT OF SKILL AND GREAT CRAFTSMANSHIP IN THE FIRST PART OF THE SYSTEM. (NARRATOR)>> UP NEXT, JUST A COUPLE OF TIGHT TURNS AND THE CAMARO WILL HAVE A KILLER EXHAUST! 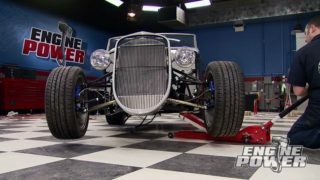 (MIKE)>> WE'RE BACK AND RICHARD IS POWERING THROUGH THIS CUSTOM BUILT EXHAUST. NEXT UP IS FROM THE "X" CROSSOVER TO THE REAR. LIKE THE FRONT HALF, THERE'S PLENTY OF MOCKUP BACK HERE AS WELL. THE MOST DIFFICULT SECTION IS GOING OVER THE REAR AXLE ASSEMBLY. IT'S VERY TIGHT, WHICH WILL REQUIRE MULTIPLE BENDS AND ANGLES. BEFORE ANYTHING ELSE HAPPENS RICHARD NEEDS TO GET A VISUAL OF HOW THE MUFFLERS WILL BE POSITIONED. (MIKE)>> YOU MAY HAVE NOTICED THERE'S NO SPARKS FLYING WHEN RICHARD IS WELDING. EVERYTHING IS TIG WELDED. IT'S A TIME CONSUMING AND TECHNICAL PROCESS BUT THE TRADE OFF IS HAVING SOME OF THE NICEST WELDS YOU CAN GET. (PAT)>> THE FINAL VBAND CLAMPS WERE INSTALLED ON THE PIPE JUST BEFORE GOING OVER THE REAR AXLE. THIS IS A MUST SO THE SYSTEM CAN BE SEPARATED AND REMOVED WITHOUT ANY CUTTING. WITH THE ASSEMBLY BACK IN PLACE, RICHARD IS FABBING UP THE HANGERS FOR THE MID PIPE. 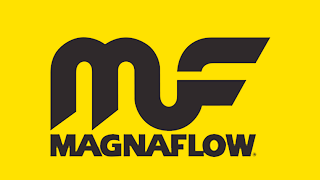 THEY WILL GO THROUGH THE CHASSIS AND ARE DAMPENED WITH ISOLATORS FROM MAGNAFLOW'S KIT. HERE'S A SNEAK PEAK ON HOW BOTH MUFFLERS LOOK IN POSITION. WITH THIS MARKED AND CUT, RICHARD NOW HAS THE OVER THE AXLE PIPE ON ITS WAY TO BEING FINISHED. WHAT'S NOT FINISHED IS THE EXHAUST ON TRUCK TECH'S KFIVE BLAZER. SO LT CAME OVER TO PIRATE OUR HELP. (LT)>> HEY RICHARD, HOW'S IT GOING? (RICHARD)>> HEY LT, HOW ARE YOU DOING? (LT)>> DOING GOOD, GOOD TO SEE YOU. SO WHAT ARE YOU DOING HERE? (RICHARD)>> FULL CUSTOM FRAME ON A SUBFRAME VEHICLE. SO PRETTY MUCH EVERYTHING FROM FRONT TO BACK'S 100 PERCENT CUSTOM. (LT)>> WELL I LIKE WHAT YOU DID HERE, YOU KNOW, PUTTING THE MUFFLERS AT THE BACK. THAT'S KIND OF LIKE A LATE MODEL TOUCH I GUESS. 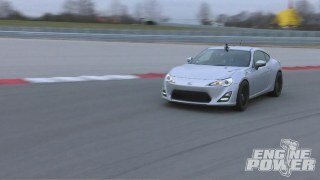 (RICHARD)>> YEAH A REAR MOUNT, SIMPLY NO ROOM UP FRONT. SO WITH THE GAS TANK IN THE TRUNK WE'VE GOT A LOT OF SPACE BACK HERE. (LT)>> SINCE YOU'RE HERE, AND SINCE IT LOOK LIKE YOU'RE DOING PRETTY GOOD PROGRESS HERE, I'VE GOT AN EXHAUST SYSTEM THAT WE NEED A LITTLE BIT OF HELP ON. SO MAYBE DO TWO THIS WEEK? (RICHARD)>> I'M RUNNING A LITTLE AHEAD OF SCHEDULE. SO MAYBE JUMP OVER THERE, TAKE A LOOK AT IT A LITTLE BIT LATER, AND SEE WHAT WE CAN FIT. (LT)>> SWING ON BY WHEN YOU'RE DONE, THANKS MAN. (PAT)>> NOW THE MUFFLERS ARE POSITIONED AND ATTACHED TO THE OVER THE AXLE PIPES. HERE'S A COOL FEATURE ABOUT THE INSIDE OF THEM. (RICHARD)>> YOU'LL FIND THAT A LOT OF THE MUFFLERS, THEY HAVE A VERY DENSE SOUND TO THEM. THEY DON'T SOUND HOLLOW BECAUSE THAT MATERIAL'S ACTUALLY VERY DENSELY PACKED INSIDE. AND WE USE A TWO STAGE, WHICH IS STAINLESS STEEL ON THE INSIDE AND A BASALT, WHICH IS ROCK WALL. (PAT)>> WRAPPING UP THE SYSTEM ARE SOME HAND MADE TURN DOWNS. (RICHARD)>> ALL RIGHT PAT, JUST WANTED TO GET YOUR OPINION HERE. WE'VE JUST ABOUT WRAPPED UP AND I CAN EITHER DO THE TIP WITH A LITTLE BIT OF AN ANGLE OUT AND TRIM DOWN, BUT IF YOU THINK YOU NEED SOME MORE ROOM I'VE CUT IT SO THAT IT'S A MORE RADICAL, 90 THERE. WE COULD OBVIOUSLY TRIM IT TO THE BODY LINE BUT IT GIVES YOU SOME MORE CLEARANCE. I WANTED TO SEE WHICH WAY YOU WANTED TO GO. (PAT)>> I ACTUALLY KIND OF LIKE IT IF IT'S THE FIRST WAY, LIKE THAT. TO ME THAT, I LIKE THE LOOK OF THAT. THE FINAL WELDS ARE THE HANGERS TO THE MUFFLER BODIES. WELL RICHARD IT WAS A PLEASURE WATCHING YOU WORK AND SEE WHAT IT TAKES TO BUILD A TRUE CUSTOM EXHAUST. YOU KNOCKED IT OUT OF THE PART ON THIS. THANKS FOR COMING IN. (RICHARD)>> ALWAYS A PLEASURE COMING DOWN HERE. OBVIOUSLY SEE ALL THE PROJECTS YOU HAVE GOING, AND OF COURSE WHAT NEW OBSTACLES YOU'RE GONNA PUT OUT IN FRONT OF ME. ALL THIS STUFF KIND OF MAKES SURE THAT I KEEP MY SKILLS HONED. (PAT)>> YES AND I'M SURE WE'LL HAVE YOU BACK IN THE FUTURE CAUSE WE'RE GONNA BE MORE CRAZY STUFF. SO THANK YOU VERY MUCH FOR COMING IN. WHATEVER YOU DRIVE, EBC BRAKES HAS DEVELOPED A BRAKE PAD FOR YOU, AND HERE'S A FEW TO LOOK AT, STARTING WITH THE YELLOW STUFF PADS. THESE ARE THEIR FLAG SHIP FAST ROAD AND LIGHT TRACK UPGRADE FEATURING DRASTICALLY SHORTER STOPPING DISTANCES THAN OEM AND GREAT RESISTANCE TO FADE AND HEAT. THEY'RE PERFECT FOR EVERYDAY DRIVING, PLUS SOME LIGHT TRACK USE. NEXT ARE THE RED STUFF BRAKE PADS. NOW THESE ARE A MID LEVEL STREET UPGRADE THAT SIGNIFICANTLY IMPROVE FRICTION AND FADE RESISTANCE OVER OEM. THEY'RE DESIGNED FOR HEAVIER VEHICLES, AND ARE A MODEST UPGRADE OVER THE YELLOW STUFF PADS. LAST BUT CERTAINLY NOT LEAST ARE THE BLUE STUFF BRAKE PADS. NOW THESE ARE FOR FAST STREET, ENDURANCE, AND TRACK CARS, AND HAVE EXCELLENT WEAR CHARACTERISTIC. PLUS THEY HAVE GREAT COLD BITE. SO THEY CAN STILL BE USED ON THE STREET. FIND YOUR APPLICATION AT EBC BRAKES DOT COM. ADDING TO THE OUTSTANDING LINE OF DUPLICOLOR CUSTOM WRAP IS THEIR NEW WET LOOK FINISH. LIKE ALL CUSTOM WRAP, IT CAN BE APPLIED TO ALUMINUM, CHROME, METAL, PLASTIC, OR OTHER PAINTED SURFACES. THIS NEW TWO STEP PROCESS INCLUDES A BASE COAT OF COLOR. THEN A SLICK AND GLOSSY CLEAR COAT THAT REPLICATES YOUR ORIGINAL FINISH ON YOUR VEHICLE. IT COMES IN SIX DIFFERENT COLORS, AND WHEN YOU WANT TO CHANGE COLOR OR GO BACK TO YOUR ORIGINAL FINISH, ITS NEXT GENERATION EASY PEEL TECHNOLOGY MAKES IT EASY TO REMOVE. IT'S GREAT FOR CUSTOMIZING JUST ABOUT ANYTHING ON YOUR RIDE AS YOUR TASTES CHANGE. PICK UP SOME WHERE DUPLICOLOR IS SOLD. (NARRATOR)>> UP NEXT, A COMPACT BUT CAPABLE ACCESSORY DRIVE GIVES US EVERYTHING WE NEED FOR CARVING THE CORNERS AT THE RACE TRACK. (MIKE)>> WE STILL HAVE A LITTLE MORE TIME TO GET SOME MORE WORK DONE. SO WE'RE GONNA GO AHEAD AND MOVE ON TO THE NEXT ITEM IN OUR CHECKLIST, WHICH IS THE FUEL SYSTEM. NOW NORMALLY WE WOULD RUN AN ELECTRIC PUMP ON A CAR LIKE THIS, BUT THAT'S NOT THE CASE THIS TIME. WE'RE GONNA RUN THIS MECHANICAL BLOCK MOUNTED PUMP FROM HOLLEY THAT FLOWS 200 GALLONS PER HOUR. 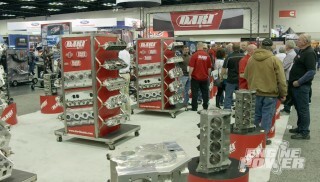 THIS IS THE ULTRA HP BILLET SERIES THAT'S MADE OUT OF 60-61 TSIX ALUMINUM. WITH THE PUSH ROD AND MOUNTING PLATE IN PLACE, THE PUMP BOLTS DIRECTLY TO THE BLOCK AND IS SECURED WITH ARP FASTENERS. A SUPPLIED DASH 10 FITTING GOES INTO THE INLET SIDE, AND A DASH EIGHT IN THE OUTLET SIDE. A CENTERED BRONZE BREATHER VENT GOES IN THE TOP OF THE PUMP'S HOUSING. 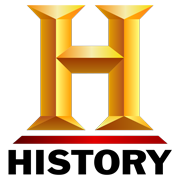 IT IS SUPPLIED BY HOLLEY. (PAT)>> NOW WE CAN MOUNT THE FUEL REGULATOR. 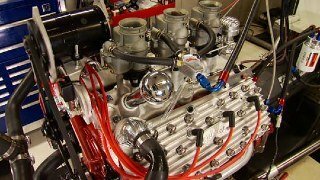 THIS IS HOLLEY'S FOUR PORT VR SERIES FOUR CARBURETORS. IT'S ADJUSTABLE FROM FOUR TO NINE PSI AND ALSO HAS A ONE TO ONE BOOST REFERENCE IF NEEDED. IT'S COMPATIBLE WITH GASOLINE, METHANOL, AND E-85. WE'RE MOUNTING IT TO THIS HOLLEY BILLET BRACKET THAT ATTACHES TO THE CARB STUDS. WE ADDED A LITTLE FABBED BRACKET SO THE RETURN FITTING CLEARS THE VALVE COVER. 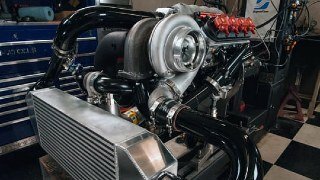 YOU MAY HAVE NOTICED WE HAVE A COMPLETELY DIFFERENT INTAKE AND CARB SETUP ON OUR 440. WELL THAT WAS BY NECESSITY. WE KNEW WE WERE GONNA RUN INTO SOME CLEARANCE PROBLEMS WITH OUR NEW HOOD SETUP THAT YOU'RE GONNA SEE. SO WE DECIDED TO PICK UP FROM SUMMIT RACING A CHEVROLET PERFORMANCE SINGLE PLANE LS SEVEN INTAKE MANIFOLD. (MIKE)>> WHILE PAT'S GETTING SOME LINES MADE UP FOR THE FUEL SYSTEM I'M GONNA GO AHEAD AND GET THE ACCESSORY DRIVE MOUNTED TO THE FRONT OF THE BLOCK. NOW KEEP IN MIND THIS MAY LOOK A LITTLE FUNNY AND BARE, AND THAT'S ALL BECAUSE WE'RE RUNNING A MANUAL STEERING RACK. SO THERE'S NOT GONNA BE ANY NEED FOR A POWER STEERING PUMP. WE'RE ALSO GONNA LEAVE THE A/C COMPRESSOR OUT OF THE EQUATION FOR NOW. WHAT WE WILL BE USING IS THIS TRICK LITTLE SETUP FROM JONES RACING PRODUCTS. NOW THEY MAKE FRONT DRIVES FOR THE STREET, THE STRIP, AND CIRCLE TRACK. NOW THEY'RE LIGHT WEIGHT, REDUCE HARMONICS, AND DEFINITELY SAVE HORSEPOWER. 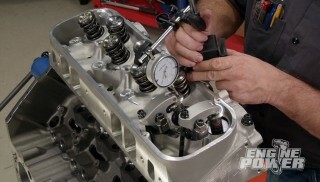 THIS ONE UTILIZES AN EDELBROCK WATER PUMP. SO YOU KNOW THE LONGEVITY IS HERE FOR THE WHOLE SETUP. ATTACHED TO THE PUMP BY BILLET BRACKETS AND SPACERS IS A MINI HIGH AMP ALTERNATOR FROM JONES RACING. (PAT)>> INSTALLATION IS A SNAP DUE TO THE SUPERIOR ENGINEERING OF THIS PRODUCT. FIRST THE WATER PUMP AND ALTERNATOR BRACKET ARE INSTALLED USING ALL GRADE EIGHT FASTENERS THAT CAME WITH THE KIT. NOW THE HIGH AMP ALTERNATOR IS PUT IN PLACE ALONG WITH THE BRACKET THAT ATTACHES TO THE CYLINDER HEAD. THE BILLET ALUMINUM MANDREL IS KEYED TO THE BALANCER TO PREVENT ROTATION. A BELT RETAINER AND A KEYED LOWER PULLEY TO DRIVE THE WATER PUMP ARE SLID ONTO THE MANDREL. NOW THE WATER PUMP BELT, ALTERNATOR BELT, AND PULLEY ARE POSITIONED. (MIKE)>> IT SHOULD BE NOTED THESE ARE ROUND TOOTH COG STYLE BELTS, WHICH GREATLY REDUCE FRICTION, AND ARE NOT DESIGNED TO BE RAN BANJO STRING TIGHT. WITH IT INSTALLED THE FINAL RESULTS ARE A CLEAN AND VERY EFFICIENT BELT DRIVE SYSTEM. FOR MORE INFO ON TODAY'S PRODUCTS OR SHOW IN GENERAL CHECK OUT POWERNATION TV DOT COM. (RICHARD)>> ONE OF THE FIRST STEPS IN DESIGNING AN EXHAUST SYSTEM IS CONSIDERING WHAT IT'S FOR. WE'RE THERE TO EVACUATE THE EXHAUST FROM A MOTOR. SO WE HAVE TO KNOW IS IT THE RIGHT SIZE TO ACCOMMODATE THE POWER LEVEL THAT WE HAVE. SO DETERMINING WHETHER YOU NEED A TWO AND A QUARTER, TWO AND A HALF, THREE INCH OR LARGER IS ONE OF THE FIRST STEPS. 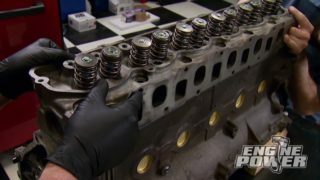 ONCE YOU GET TO THAT PART IT'S THEN A MATTER OF DO YOU WANT TO PUT SOMETHING ON THAT FITS WITH STOCK GEOMETRY SUSPENSION, STOCK FRAME, OR YOU REALLY GONNA GO EXOTIC AND PUT IN PARTS THAT ARE EITHER CUSTOM FABRICATED OR SOMETHING THAT'S GONNA BASICALLY COME OUT OF A BOX THAT'S MADE TO BOLT ON TO FACTORY PARTS? WHEN YOU DETERMINE THAT YOUR GOAL IS TO MAKE A TRULY CUSTOM CAR OUR CUSTOM BUILDER KITS ARE USUALLY THE DIRECTION YOU'RE GOING TO TAKE. THEY PROVIDE YOU WITH THE MOST OPTIONS AS LONG AS YOU HAVE THE MEANS TO PUT IT TOGETHER. 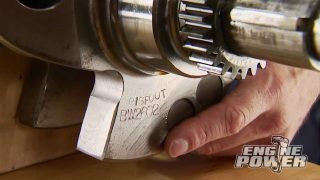 IF YOU'RE TALKING BASICS OF EXHAUST I WOULD SAY THERE'S A FEW THINGS THAT YOU NEED TO LOOK AT. 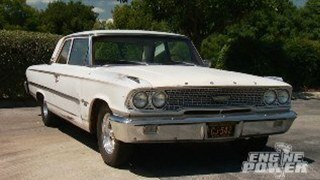 FIRST AND FOREMOST ON THE EXHAUST IS, DOES IT ROUTE IN A PLACE WHERE IT'S GOING TO BE FREE OF ANY KIND OF INTERFERENCE. AND YOU HAVE TO TAKE INTO CONSIDERATION THAT YOU'RE TALKING ABOUT A STAINLESS STEEL THAT ONCE IT GETS HEATED ACTUALLY EXPANDS. SO YOU'RE GONNA HAVE GROWTH RATE. MAKE SURE THAT THERE'S ENOUGH SPACE FOR THE EXHAUST SYSTEM TO MOVE BACK ONCE THE CAR'S STARTED AND REACHES FULL TEMPERATURE. ALSO CONSIDER THAT WHEN YOU HAVE BENDS THAT THAT GROWTH RATE'S GONNA MOVE UP AND AROUND AS WELL WITH THAT BEND. SO YOU'RE GONNA HAVE TO MAKE SURE YOUR ISOLATORS, AND THE TYPES OF DEVICES YOU'RE USING TO MOUNT THE SYSTEM HAVE A LITTLE BIT OF GIVE. OTHERWISE YOU'RE GONNA START CRACKING ALL THE MOUNTS THAT YOU'VE WELDED TO THE EXHAUST. AFTER YOU'VE DONE THAT YOU WANT TO MAKE SURE THE ROUTING IS AWAY FROM THINGS THAT COULD BE HURT BY THE TEMPERATURE. WHEN YOU'RE TALKING ABOUT THE TUBE ALONE, OR THE MUFFLER, THE MUFFLER HAS MORE INSULATION. IT CAN BE CLOSER TO OBJECTS THAT ARE MORE SENSITIVE TO HEAT. THE TUBING IN ITSELF AT FULL THROTTLE WITHOUT A WHOLE LOT OF AIR MOVING AROUND IT MAY ACTUALLY BE A CONSIDERATION FOR ISSUE ON THINGS THAT ARE FLAMMABLE. SO FUEL LINES, WATCHING OUT FOR BRAKE LINES, OIL LINES, THOSE ARE ALL THINGS YOU NEED TO TAKE INTO CONSIDERATION. AND OBVIOUSLY, WHEN YOU TALKING RUBBER LINES VERSUS METAL LINES, WE HAVE TO GIVE THOSE EVEN MORE SPACE. IN WELDING EXHAUST PARTS THERE'S A COUPLE DIFFERENT WAYS YOU CAN GO. YOU CAN DEFINITELY STICK WITH A MIG. IT'S PROBABLY THE MOST EASY WAY TO GET THINGS GOING, BUT IF YOU'RE LOOKING AT SPACING AND KEEPING IT CLEAN, AND LOOKING FOR A VISUAL AESTHETIC, YOU CAN MOVE TO A TIG. AND THERE'S STILL YET AGAIN, BECAUSE WE'RE TALKING ABOUT THINNER MATERIAL, YOU CAN DO ADDITIVE WELDING WHERE YOU'RE GONNA USE A ROD, OR YOU CAN TRY TO FUSE THEM TOGETHER. IN THE PROCESS OF USING FUSION THOUGH YOU NEED TO MAKE SURE THAT YOUR CUTS ARE ACCURATE, THAT YOU HAVE A TRUE TANGENT LINE CUT, OR AT LEAST MAKING SURE THAT THE MATING SURFACE MAKES AS MUCH CONTACT AS YOU CAN. YOU'LL SEE A VARIETY OF DIFFERENT USES WHEN I TYPICALLY BUILD AN EXHAUST SYSTEM DEPENDING ON NEED. SOME OF THE ADDITIVE WELDINGS WHERE THERE'S STRENGTH NEEDED, AND SOME OF THE FUSION WELDING IS WHERE THE TWO PIPES JOIN AND YOU DON'T NEED THE EXTRA STRENGTH BUT YOU'RE LOOKING FOR A GOOD SEAL. AT THE END OF THE DAY WHAT YOU CHOSE IS BASED UP WHAT THE NECESSITY OF THE EXHAUST SYSTEM IS AND THE DESIRE FOR THE APPEARANCE THAT YOU WANT.